Meet Seeb, aka Simen Eriksrud and Espen Burg, two powerhouse artists and producers who understand the science and feel behind a great song. 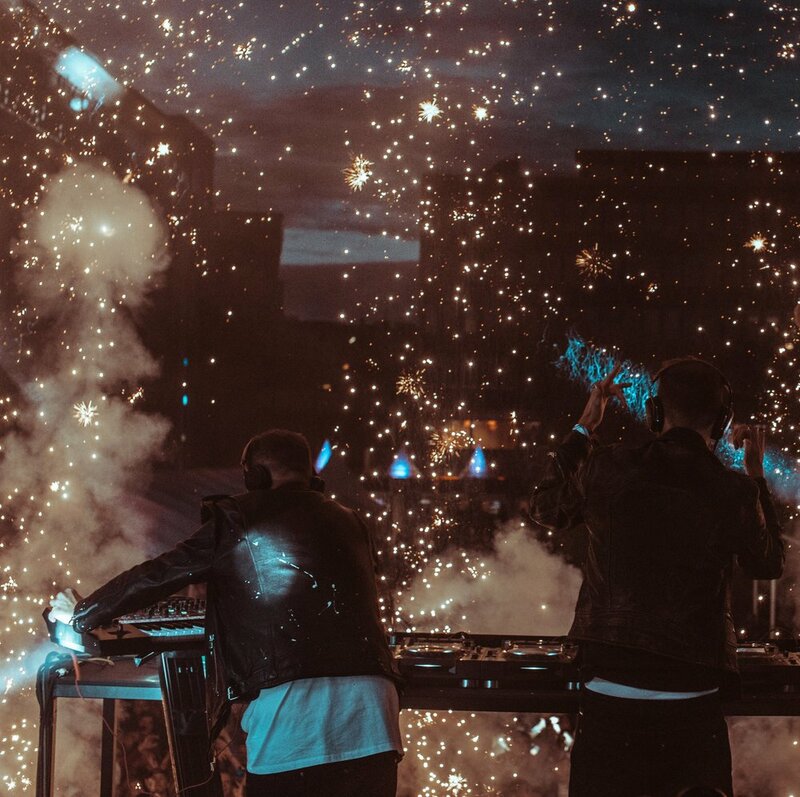 With a combined four decades of experience, the two have mastered the mix of emotion and energy crafting smash hits like ‘Grip’ with Bastille and their remix of ‘I Took A Pill In Ibiza.’ Take a dive into the minds of the duo who think nowhere near the box. 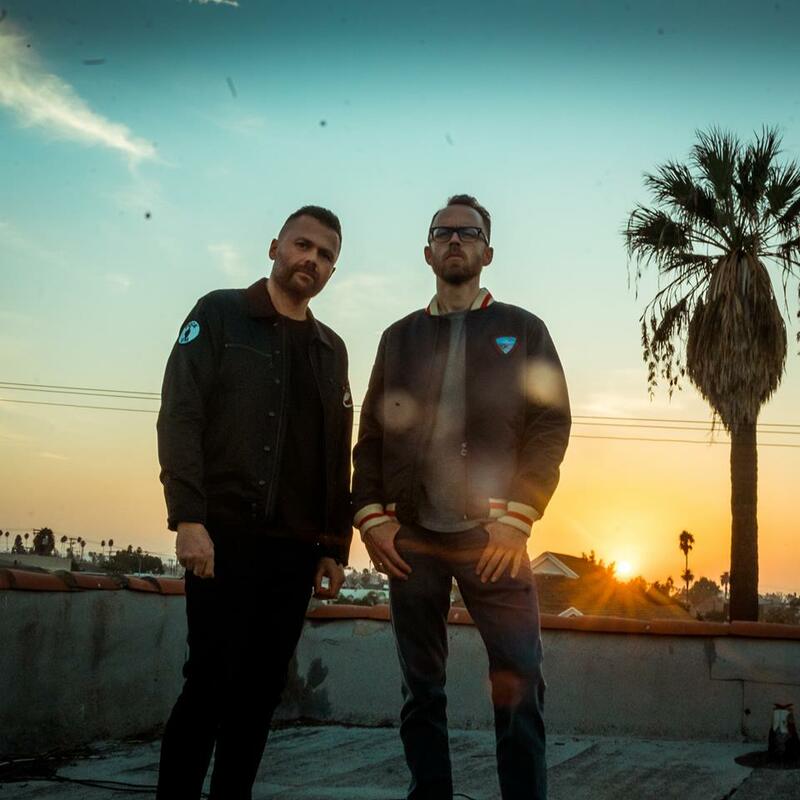 Before Seeb’s remix of Mike Posner’s ‘I Took A Pill In Ibiza’ climbed to over a billion streams, the opening phrase of the original first caught Simen and Espen’s attention. What happened in Ibiza? How did Avicii enter the picture? What does it mean to be cool? Seeb wanted to take a song that pulls on the heart strings and showcase a different side to the track. Posner’s vocals provided the foundation as Simen and Espen built around already existing, sad aesthetic. A trippier vibe, masterful production, and a combined 40 years of pop-production experience meshed to transform the melancholic story into an addicting anthem. Seeb harnesses this artisan approach with both remixes and originals. In each track, the heart of the vocals never disappears no matter how much manipulation is used. The two embrace experimentation and keep the throughline of the song at the forefront, rather than piece together disconnected elements. Auxoro: In the past, you’ve said that part of making great music is “working without thinking.” How do you get into this flow state of work without overthinking? What about this mentality allows your best work to surface? 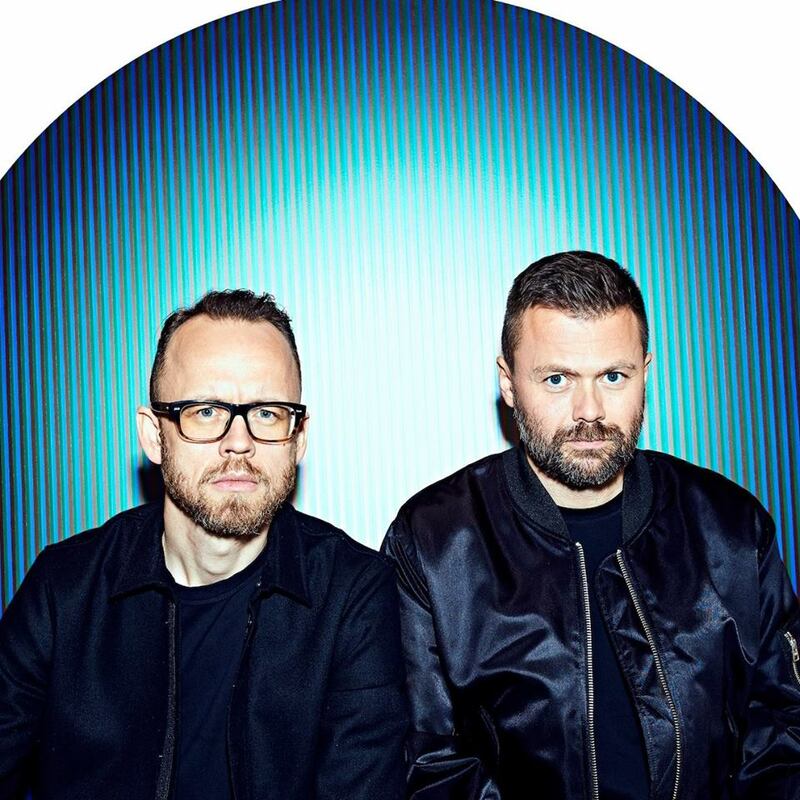 Espen of Seeb: It’s because when you have been doing something that you started out really loving, and it was your hobby or dream, it can get like a job with its pros and cons. And ‘working without thinking’ is where the arbitrary way of working really comes in to help you move forward. As you realize that making music is now an integral part of who you are, you should no longer contemplate too much around what you are doing and why, and instead try to create without the fear of hitting a blind alley. You are still going to sound like you, and that’s the beauty of it. After spending years and years doing the same thing, you suddenly have your own sound, an imprint that comes across at its finest when you don’t overanalyze. As a duo, you have to navigate the balance between the “technical” and the “feeling.” Simen is a trained instrumentalist, well-versed in musical theory, and you are more self-taught. How does the technical and the non-analytical approach come together to create harmony in the studio? What are the biggest challenges about meshing these two approaches? The main challenge is to agree on what is considered a good or a bad idea. We both have different tastes in music but also still have a lot of the same favorite records. When one of us dislikes something the other one listens to it with an open ear. That’s the beauty of working together, and sometimes we come up with a sum of both our contributions and input, instead of landing on the average of both of our ideas. One of our goals is to try to break rules every time we set out to do a new song, just for the fun of it. It could be throwing some animal sounds in the mix that hits the wrong note, or deliberately doing a complex chord when it doesn’t fit. In a world where collaborations are often completed over skype or no face to face interaction, why is it important to work with other artists in person? How does building a relationship in person build a better, more truthful song? It’s the whole magic behind everything. We have always been very involved in making records as producers, we’re very hands on and social beings. That part of music making is very important. It’s not always about how the final product comes to a completion, but rather how it came to life. We find that when we work on toplines that are sent to us, we need to at least try to make a session with the people behind it before it’s finished - to get to know each other, vibe together, everybody is in tune and feels good about what’s going on. The worst thing as a songwriter has to be when your A&R tells you, “your song is not doing so well, so we had someone remix it and now…” - that’s what happened with ‘I Took a Pill in Ibiza’. Going through all of that, we understood the importance of being on the same page and that most artists take this very seriously. You’ve said before that you find inspiration being outside in nature or sitting in silence. Describe a recent time where an idea came to life while you were in nature. How does taking a break from the studio allow dormant ideas to take hold of your consciousness? 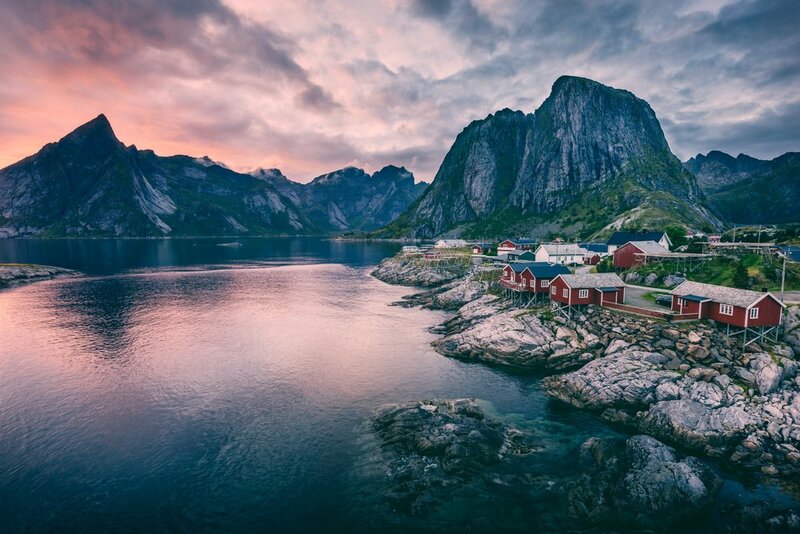 We find nature to be the most inspiring part about living in Northern Scandinavia and we use it for what it’s worth, both in the sunny summers and the dark, long winters. This follows the same idea of not overthinking what you do for work, and for us, we’re composers and musicians. Spending time outdoors with family and friends helps to take the mind off of things. We love outdoor life and nature activities, and try to get as much inspiration from that as possible. Simen is also trying meditation as a tool to sharpen his mind, and that seems to be a very effective way of gaining more focus, especially with creative work. As a duo, you have a benefit that solo artists do not enjoy: competition amongst yourselves. How do you compete in the studio to encourage the best ideas? What is your favorite part of competition? It’s simple: the best idea wins. We then have to decide who and what is the best idea, and that’s where it can get complicated. But that’s the best part of working with someone over a long period of time. If you can adjust and become symbiotic, there are a lot of benefits. We love the fact that when one of us has been working on an idea for too long and is stuck, the other one can come in and move it forward, although that doesn’t happen every time. You work with singers that have a distinct emotional quality to their voice. What about Dan Smith’s voice (Bastille) led you to collaborate on your latest single ‘Grip?’ He seems to have a unique way of communicating, telling a story. Yes we always try to go for the peculiar voices, the voices that stand out. This is a dream we used to have when we were working as producers. Imagine being able to choose from the top voices in the world to fit into your music, instead of trying to fit the music to the voice because the voice needed assistance. This is the main luxury we are afforded right now, that we can work and release music and collabs with the best and most interesting voices. These next few questions from fellow producer and friend of Auxoro, Veck (@veck_music). Finishing a song can be one of the hardest parts of the music making process. In a duo, how do you decide on the final product with two people giving constant input? When we both feel good about it, it’s finished. Sometimes it can be a struggle, but we always end up in a place where we are both satisfied with how it came out. Then again, it needs to be said, we are good finishers. From working as producers for so many years, we’ve had our share of finishing records and it is more or less the same process every time. How has your background in producing for other artists translated into the craftsmanship of your own singles/remixes? You have a unique way in letting the vocals shine, emphasizing what’s already there without distracting from the body of the lyrics. It’s from the realization that 99% of the time, the vocal is the center of focus. That came after years of producing records, and even in EDM or dance music, it’s still the main element. The way your hi-hat sounds is not as important. (Laughs) Nothing particular I can remember, but maybe I have a hard time trying to get acoustic guitars to sound right. I’m always trying to get it to sound the way I want it to, doing all kinds of mic combinations, but I’m never satisfied. I guess if I go to hell, there will be an endless rack of acoustic guitars I have to make sound good. If you could solve one mystery of this universe what would it be? First climate change, and get it reversed. After that, it would be physics related: unifying the Standard model with gravity. That would be something the world needs, and yes, also curing cancer. Ok that was three. What are the biggest misconceptions that people have about music producers, things that people don’t understand about what you do everyday? We are not doing anything different than most people. Most of what we do is boring and tedious. Only sometimes, we get to really work in a special place where magic happens, but that doesn’t happen often. What negative experience, something you never want to have to repeat, has changed your life for the better? For me, it’s about the music business and the cutthroat way it runs. I’ve been in this business for over 20 years. The worst thing I’ve done is to sign deals, long deals. Like the ones where you marry someone after a night out in Las Vegas, and you can never divorce. That’s what opened my eyes to how the music industry is run. So now, when we talk to young producers and talent, we always try to come with a bit of advice on how they should move forward with deals, managers, and so on. There are a lot of sharks out there and they surface when you start to have success. 10 years from now, what do you think you’ll regret doing too much or too little of? Spending time with our kids and families. They are already starting to grow up, and no amount of success or accomplishment can replace the time you lost with your kids when they are young. Time passes fast. You are both in your 40s. How do you keep the pulse of the youth to ensure that the younger generations identify with your music? What worries you the most about falling out of touch with younger listeners/artists? We love music and listen to every new record. There’s so much great stuff going on. This is the main misconception about older music producers, in that they tend to like the music way back when and are not relevant anymore. That’s not the same in other parts of art and culture. It’s not always the kids that have the right pulse on the world. Look at Max Martin. He is still relevant as a songwriter and has been since the 90’s. Music is always evolving and changing, and has never been better than it is right now.